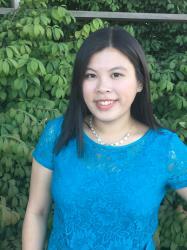 Rebecca Wu joins the Tourism Richmond Team with over 5 years of marketing experience working for some of Canada’s top companies. She spent the past four years as the sales and marketing coordinator at the Wedgewood Hotel & Spa, an award-winning luxury, boutique hotel in downtown Vancouver. She joins the Tourism Richmond team as the Specialist, Marketing & Industry Development. Rebecca is excited for the opportunity to combine her passion for travel and tourism with her marketing expertise, to assist stakeholders in achieving their marketing objectives. As a proud resident of Richmond, Rebecca also looks forward to promoting this beautiful place she calls home.